Learn how to do the skips in Irish dancing. This is one of the most popular steps in Irish dancing. Skips in Irish dance are also referred to as hop-one-two-threes or forward-two-threes. To begin, the dancer points the right foot, rises onto the toes, lifts the right leg, tucks it up behind with a hop, places the right foot down in front, shifts the weight front, back, front, and then alternates on the left side. The sequence again is hop, front, back, front, hop, front, back, front – alternating the weight, staying on the balls of the feet, foot is pointed, behind. And we’ll try that again a little bit faster. Starting with the right foot, a series of four going more quickly to the front. Rising onto the balls of the feet, starting with the right foot. And, hop-one-two-three, hop-two-two-three, hop-three-two-three, hop-four-two-three. We’ll look at a side view as well so you can see how the foot is pointed and raised in the back. Ready, and, hop-one-two-three, hop-two-two-three, hop-three-two-three, hop-four-two-three. And this is how to do skips, forward-two-threes, or hop-one-two-threes in Irish dance. This E-book will teach you the proper technique of doing Ballet. It highlights common errors and gives practical ways to fix them. Detailed Movement Guide – From Plié to Pirouette, Sur le Coup de Pied, Arabesque, Battement Tendu, Glissé, Jetté to Developpé and Grande Battement. Also includes audio and video resources. 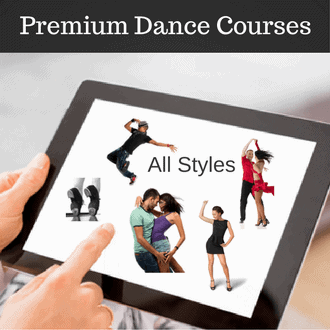 Get your today and start improving your dancing.